Oh, Johnny Mac. Why you lyin&apos;? This is the kind of stuff Republicans pull then indignantly tell the black community they should vote for them anyways. 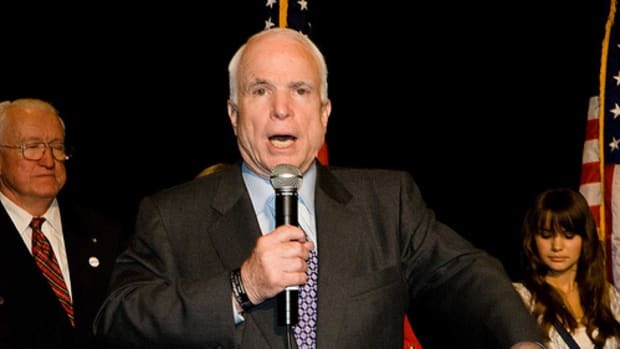 Time and time again, McCain was on the wrong side of key debates when it mattered most. In addition to his opposition to a federal holiday honoring Dr. Martin Luther King, Jr., McCain was the deciding vote against overriding President Bush&apos;s veto of the 1990 Civil Rights Act--the first defeat of a major civil rights bill in a quarter of a century. To make matters worse, just last weekend McCain defended the vote by equating it to "quotas," even though the bill had nothing to do with quotas. With a record like that, no wonder McCain is working so hard to reinvent himself for the general election.